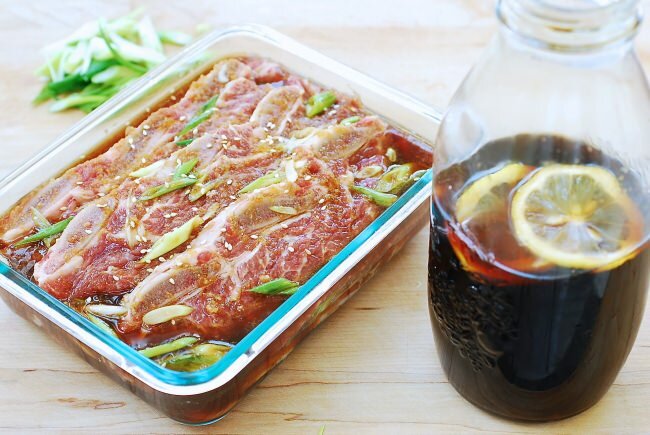 This marinade is all you need for Korean BBQ this summer! It takes less than an hour to put this large batch together. 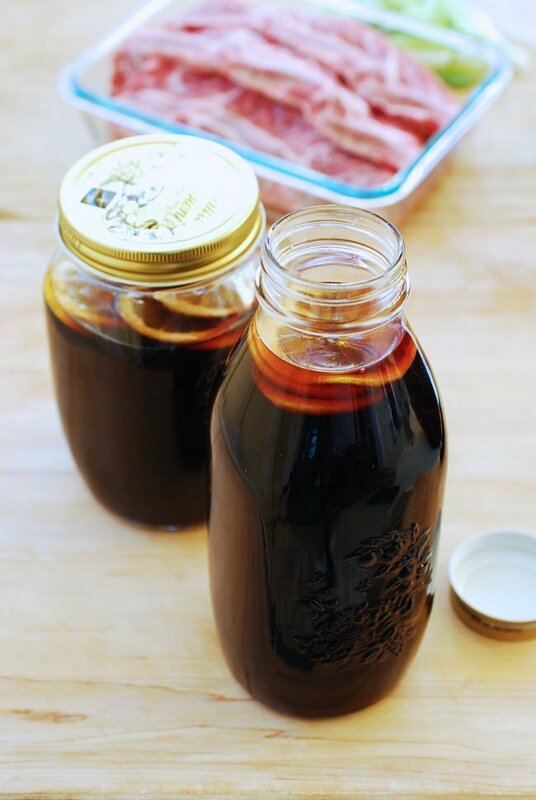 You don’t need to assemble a marinade or run to a store to buy a jar of pre-made marinade every time. All the flavor enhancing ingredients are boiled together, so the marinade is so flavorful and the shelf life is naturally long. In Korea, this type of sauce is called manneung ganjang (만능간장, meaning all-purpose soy based sauce) or mat ganjang (맛간장, meaning flavorful soy based sauce). 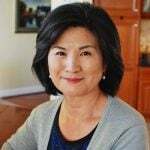 The typical Korean soy sauce based sauce is pretty standard, so some people add complexity and layers of flavors by using a flavorful broth. Restaurants commonly do this to develop their own unique, tasty flavors, using all sorts of secret ingredients for the broth. It has also become common among home cooks. 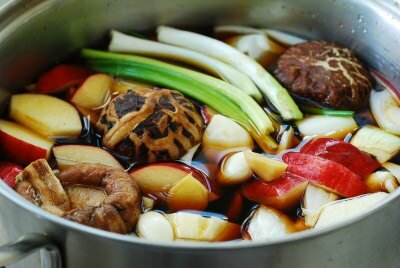 To make this all-purpose marinade, the marinade ingredients are boiled with umami boosting vegetables such as dried shiitake mushrooms and dashima. Korean radish is good too. For fruity sweetness, I used an apple. You can also use an Asian/Korean pear. 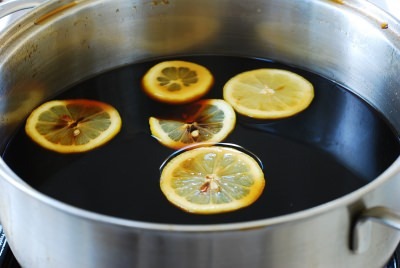 The fresh lemon is added at the end, which keeps the marinade fresh for a longer period. Use it for any Korean BBQ dishes such as galbi, bulgogi, chicken bulgogi, salmon bulgogi, etc., or add Korean flavors to your steaks and ribs. You can zip up the flavors by adding fresh garlic, ginger, onion, scallion and/or grated Korean pear if you like, but it’s not absolutely necessary. Do add some sesame oil. It’s an essential ingredient for Korean meat dishes. 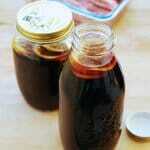 You will generally need one cup of this marinade for 2 pounds of meat. For a spicy marinade, simply add gochugaru (Korean red chili pepper flakes) and/or gochujang (Korean red chili pepper paste). This marinade is also great for stir-frying and braising. 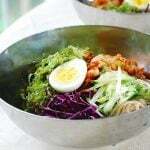 Try it with japchae or gungjung tteokbokki. Basically, you can use it in any recipe that calls for soy sauce. It’s that versatile! 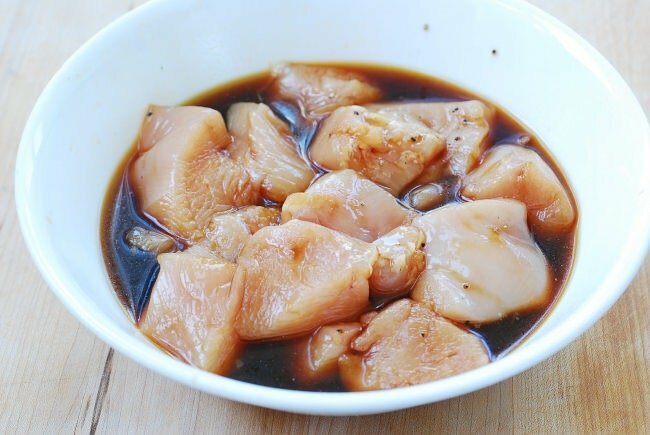 Keep in mind this marinade is diluted so you need to use more than the amount of soy sauce the recipe calls for. 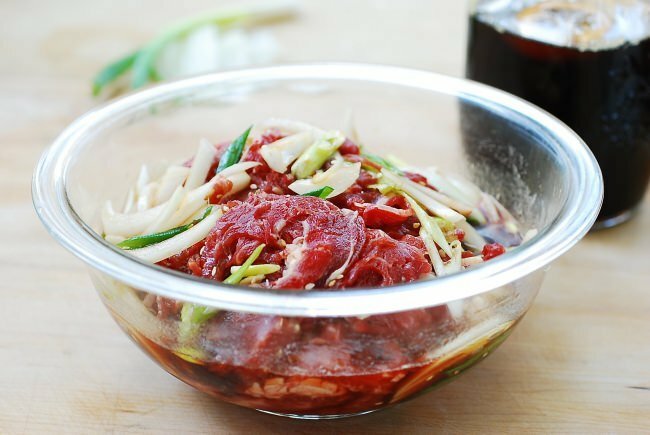 I never thought Korean marinades were hard to put together, but it’s so much quicker and easier with a batch of this basic marinade, especially when I need to put together several dishes at the same time. Add all the ingredients (except the dashima, rice wine, and lemon) to a large pot with 6 cups of water. Bring it to a boil over high heat, uncovered, and then reduce the heat to achieve a medium boil (between medium high and medium on my stove). Boil for 30 minutes. Add the dashima and rice wine and continue to boil for 10 more minutes. Remove all the solids with a strainer. Add the lemon slices, and let it cool. Store in a jar(s) in the fridge. 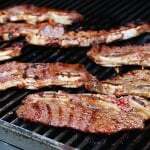 For 2 pounds of short ribs, use 1 cup of the marinade and add 1 tablespoon of sesame oil. You can also add 1 tablespoon of minced garlic, grated 1/4 Korean pear and a handful of scallion and onion slices if you like. 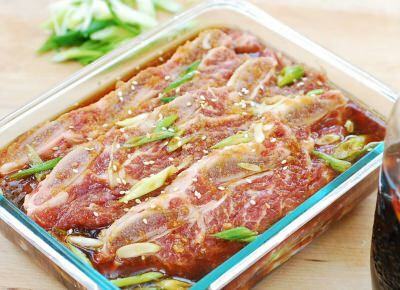 For 2 pounds of pork, use 1/2 cup of the marinade, 1 tablespoon of sesame oil, 2 tablespoons of gochugaru (red chili pepper flakes), and 3 tablespoons of gochujang (red chili pepper paste). 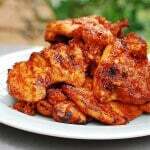 If using more gochujang, use less marinade. You can add 1 or 2 teaspoons of grated ginger, 1 tablespoon minced garlic, and a handful of scallion and onion slices. You can adjust the sweetness or salt level by adding more sugar or soy sauce depending on the dish you are using it for. Grated pear, corn syrup, honey, and Korean plum extract (maesilcheong) are all great as sugar substitutes. Add some sesame oil when you use the marinade. If the smell of boiling soy sauce bothers you, keep your candle lit for an hour or two. Hi, this looks great! I have subscribed to your page via email, but I haven’t been receiving any. Thank you! Hmm I am not sure why. Will look into it. Lived in S. Korea for 6 years and it was the best food I ever ate. And I have been in many different places in the world. Outstanding food! Great to hear you’re enjoying food in Korea! I’m jealous. Hi Just thought I’d let you know I tried to follow you but it won’t let me. I did bookmark but would rather follow I will check again in a few days. Will definitely be trying more recipes. Hi Lori – There are various ways to follow. Which one did you try? How long will this marinade last in the fridge? 2 to 3 months easily! If you want to be safe, boil it after a few weeks to keep it safely for a few more weeks if it lasts for that long. Enjoy! Hi!!! I can’t find corn syrup in my country, what ingredient can I use for replacement? I’m new to korean food but I already love it. You’re welcome! You can simply use honey instead or use more sugar. Enjoy! As I said in my reply to Ty above, 2 to 3 months easily! If you want to be safe, boil it after a few weeks to keep it safely for a few more weeks. Hope you love this marinade as much as I do. Cheers! Oh sorry, I didn’t see that haha but thanks for replying again! Really awesome, I am sure I will love it. The ingredients sound promising! Have you tried to sign up in the box on the left hand side of the blog? Can you add the sesame oil and minced garlic into the marinade after cooking, or should that be added after when actually cooking the food? I’m looking forward to trying this one out and want to make a big batch! Yes sesame oil should be added when you actually use the marinade. You can add garlic later also. Hope you try it soon! Thank you for this recipe. 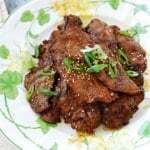 We started to enjoy Korean food recently and glad I found this marinade recipe that I can use in so many dishes. I even added a few spoons of Korean citron tea (yuja-cha) to my marinade. Oh I’m glad to hear you made this marinade and using it in many dishes! It’s so convenient to have it in the fridge, and you can use it many different dishes. Yuja-cha is great in the marinade. Thanks for leaving me a feedback! Really appreciate it. Cheers! 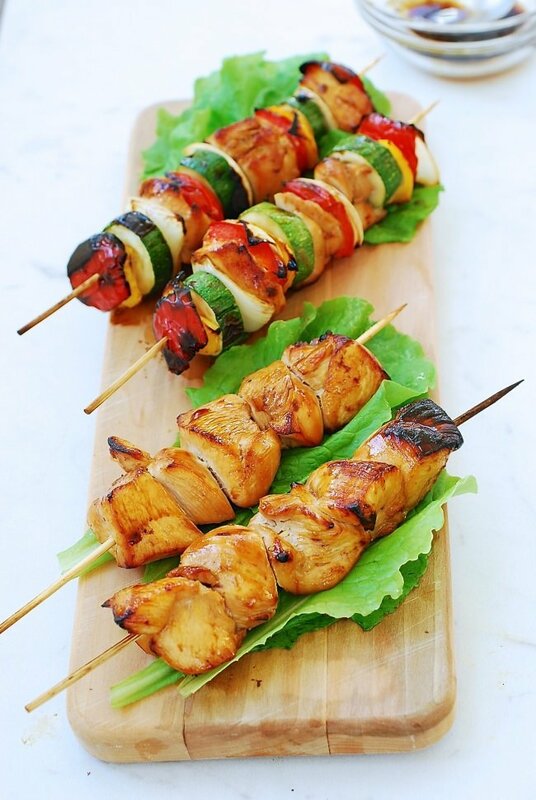 Love the ingredients in your marinade! However, what is the shelf life of this marinade? It can last up to several months in the fridge, but why keep that long? 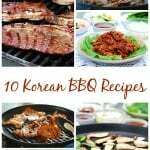 Use it to make delicious Korean BBQ any time you want this summer. I cannot offer a first hand opinion of this marinade because the night I used it to make kabobs, I missed supper. Even a couple of kids who are legendary for their finicky eating habits returned for 3rds. Near as I can judge, everyone enjoyed it immensely. When it was my turn in the buffet line, there was not so much as a crumb remaining. 🙂 Thanks for kicking off a great evening with this recipe! Those solids have released all the flavors so not much left to give in them, so I discard them. You can try to puree and add back to the marinade if you want. It will make the marinade thick though. 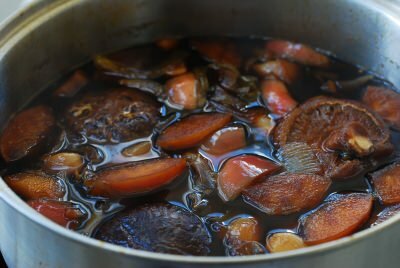 When I make my soy glaze after straining I mash the solids through the strainer and cake a roast with the paste. Kinda defeats the purpose of the marinade but sometimes I am making different cuts of meat and or I save one or the other for later. I haven’t made the recipe yet but I’ll be back with a review. This looks to be the best of the bunch. Thank you! Hope you try it soon. Depending on the size of the chicken pieces. Overnight is fine. Hi! Thanks You for the great recipes! 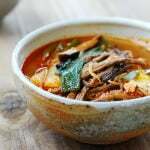 My daughter sent mouthwatering food photos from SK and after studying korean food, that’s all I have been eaten and thanks to You, I have found some really tasty recipes on your site. And thankfully in Helkinki we have some pretty good asian grocery stores, althought they have some interesting looking veges, I have no glue what they are or how to use them. Need to experiment. I have consumes quite a lot different kinds of seaweeds, is it safe to eat it almost daily? Not too much iodine? I follow your page a lot. I would like to know more pork pansa marinated. 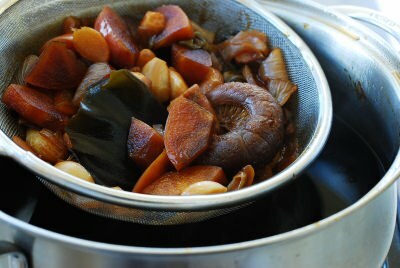 Different styles, such as white wine, garlic, herb, curry, miso paste. 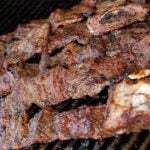 They are delicious flavors for pork pansa.